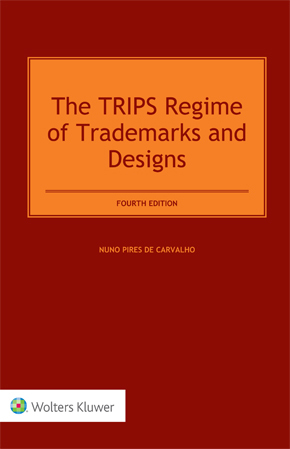 The TRIPS Regime of Trademarks and Designs in this fourth edition brings the author’s prodigious analysis of case law, dispute settlements, ongoing scholarship and other pertinent developments fully up to date. Recognized since its first edition as the preeminent work on its subject, this incomparable book thoroughly and expertly examines the intricacies of the provisions concerning trademarks and industrial designs enshrined in the Agreement on Trade-Related Aspects of Intellectual Property Rights (the TRIPS Agreement). It is organized as a paragraph-by-paragraph annotated text of the Agreement, with detailed commentary not only on the articles specifically dealing with industrial property but also on every clause in the agreement that could affect the protection of trademarks and/or designs. What are signs that can constitute trademarks? Which elements assist in identifying a well-known mark? What are the limitations on the protection of nonvisually perceptible marks such as sounds, scents and tastes? What lessons can we learn so far from the Dispute Settlement Mechanism? What are WTO Members’ obligations as regards marks that relate to goods and services that offend religious and moral values? Are they obliged to register and protect them? How strict is the TRIPS Agreement as regards the use of industrial property in relation to public policies? Are private rights limitless? Are they enforceable no matter what? The recent worldwide phenomenon of measures involving the use of trademarks to pursue public health goals through plain packaging schemes is thoroughly analyzed and evaluated. Lawyers, judges, scholars and government officials will find a wealth of information and legal analysis in this new edition, which will help them in identifying new approaches and solutions to problems of trademark and design law posed by the implementation of the TRIPS Agreement. With its combination of practically focused article-by-article commentary and scholarly analysis and insight, this edition will be an invaluable resource to all those who wish to understand industrial property at a deeper level.